Shamans are the people who use the forces of nature and universal alignments for healing purposes and ceremonies. We find shamans in most of the indigenous cultures, such as native american tribes (i.e. Aumatas, Mapuches, Lakotas, Hopis), in some buddhism traditions or the beduins in Africa. They are the healers and in many circumstances the spiritual leaders. Their follow traditions that have been transmitted generation to generation for centuries. The elements are aligned with nature and the principles of life creation. They take in consideration the seasons, the native plants, the locations, the moon cycles, the astral alignment, the intention of each ceremony, purpose and conditions. In shamanism all plants, minerals, animals and beings are considered sacred. We honor the presence of all living forces with respect and gratitude. This is why there is a strong connection with what people are calling mindfulness, meditation and law of attraction in the new era movements in the western world. In most traditions the ceremonies are based on four or five elements. The shamans consider people and the environment as a whole, so all these elements are in direct connection and present in all ceremonies. In some healing modalities one element can be dominant while still integrating all the others honoring the sense of wholeness and connectedness. 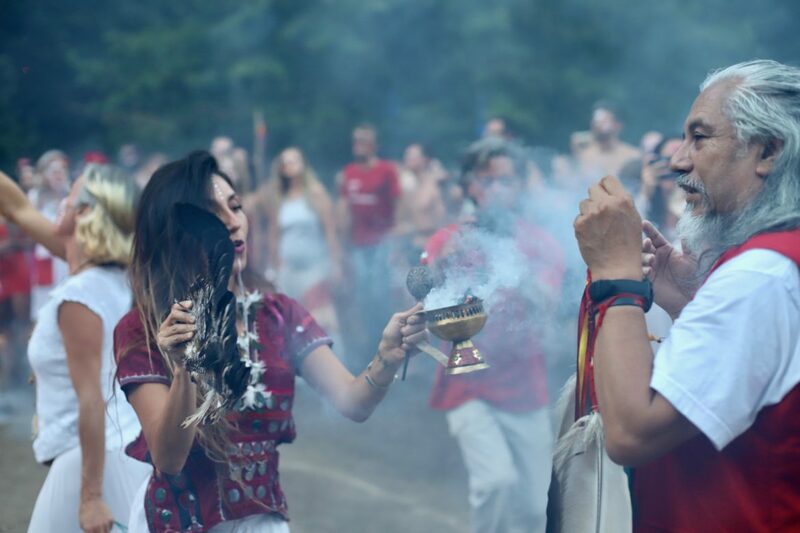 In shamanic ceremonies, participants experience profound healing, life transitions, reconnecting with themselves, nature and spirit. With the element of earth the shamans help people to ground themselves. Some shamans heal mainly in the form of touch. Thus, effectively moving the energies in the body healing ailments. In some rituals the body of the person is buried in the earth or sand for a few hours. A clear pathway to breath is created for the face and head. It is a ritual done with care, nurturing and preparation. At the completion, the shaman will guide the process for a rebirth sensation; a coming out of the earth. It is followed by a bath with purified blessed water to complete the cycle. As water is considered a very sacred element, we find water ceremonies in most traditions. The shamans bless the water with chants and prayers. Then the person will drink the water for purification. The benefits and healing properties of those rituals have been scientifically proven by Masaru Emoto. Emoto is a Japanese scientist who proved how the power of thoughts and frequencies can damage or heal water molecules. Some teas made out of hallucinogens and/or medicinal plants are also used for healing. 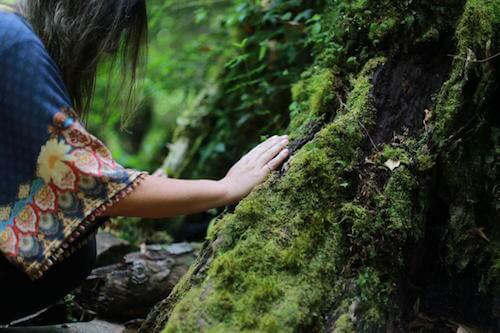 Shamans often use their native plants honoring the spirit of each medicine to proceed with integrative healing.